We found the ice cream and we ate it. Now it’s time to play in it. 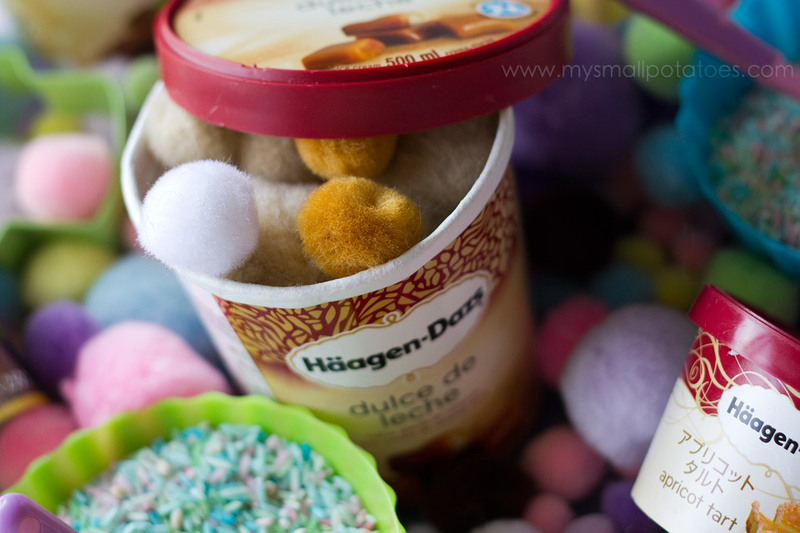 I have been saving ice cream tubs for a loooong time. I even brought the little ones home from Japan…my mum thought I was nuts! 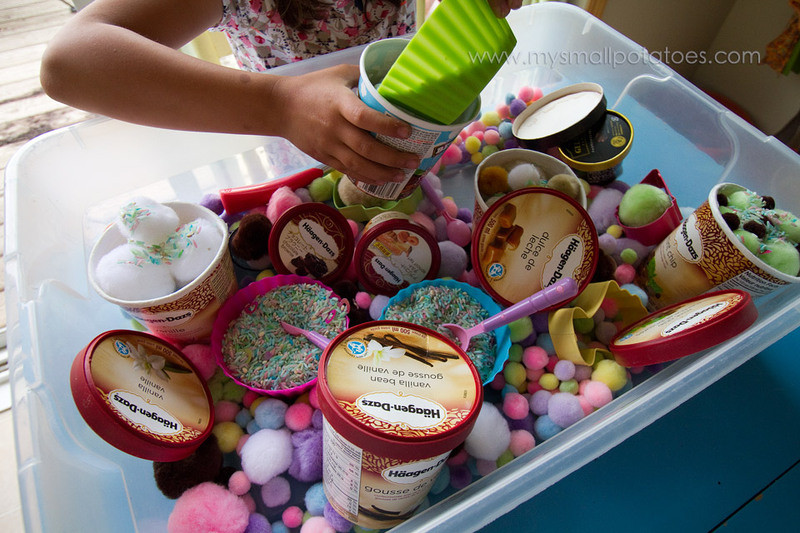 But the smalls needed ice cream tubs!! And so she washed HERS out for me too, and I packed them home in my suitcase. 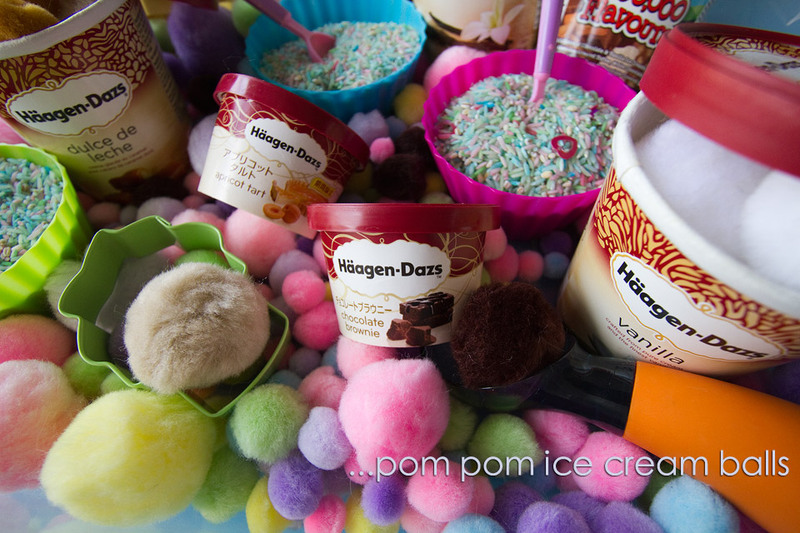 I presented it to the smalls with the tubs filled with pom poms that matched the flavour of the ice cream. 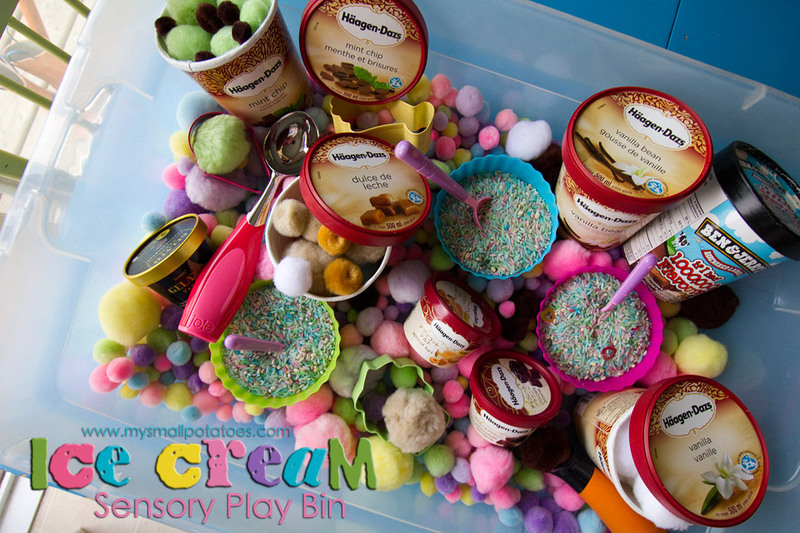 This sparked their imaginations to start creating their own flavours of ice cream in the empty tubs. My favourite combination was put together by one of the boys…strawberry lemonade!! I think we will need to make some popsicles in that flavour in the near future! The coloured rice is from our pony bin…you might recognize it!! We believe in recycling around here! And there you have it! Simple and full of possibilities. 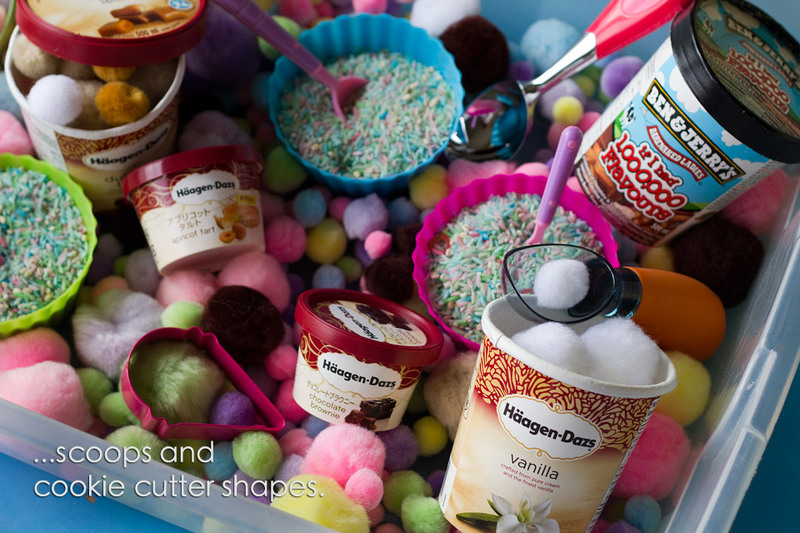 Scooping and pouring, creating new flavours, and making sundaes. Oops. This is what happens when you lean on the bin. Good thing she’s so darn cute! Hehehehe! 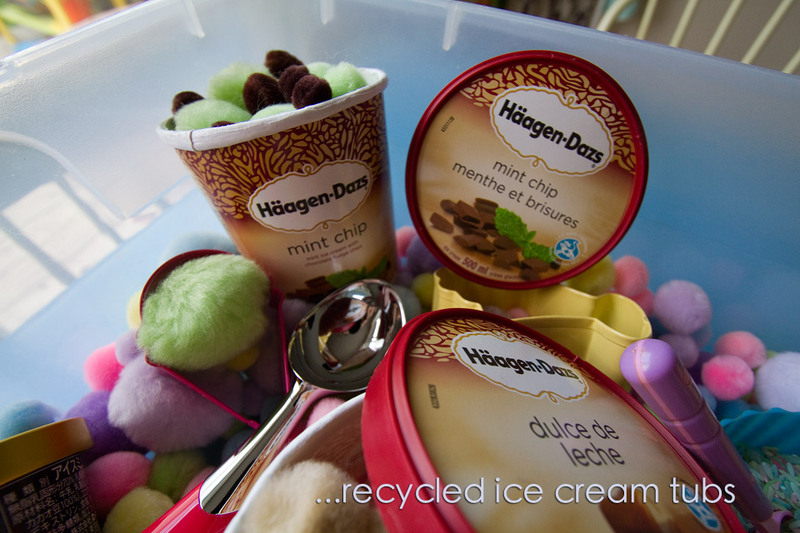 The smalls are still enjoying this bin every day, AND asking to go find the ice cream truck again…everyday! I think I’ve created some little ice cream monsters!! Maybe we need to do a veggie post soon?! Thank you so much, Jen! 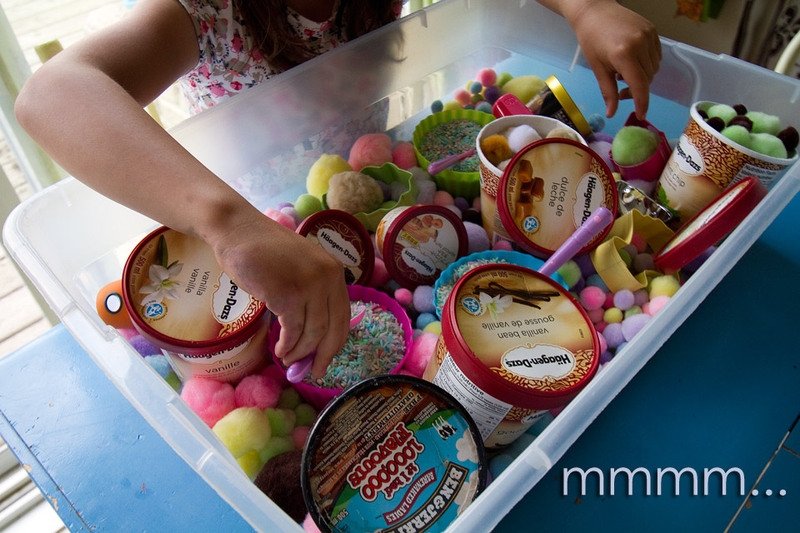 Our accumulation of ice cream tubs was accelerated when my daughter had the chicken pox…it was the only thing that kept her mind off of the itch! I can’t blame her! That is an awesome idea! I’m gonna start my collection soon…hehe…where do you get the pompoms, by the way? Thank you!! I purchased the pompoms at Michaels craft store. They have big bags of the assorted sizes and colours! 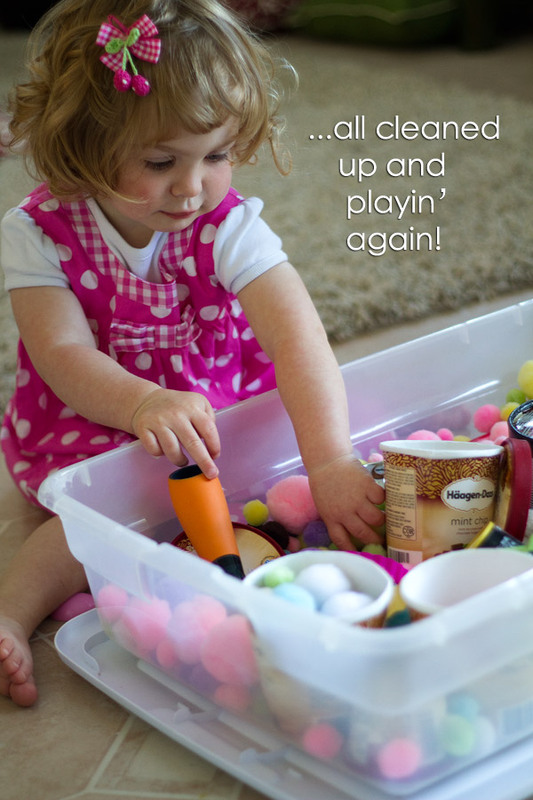 My kids LOVE their ice cream bin. 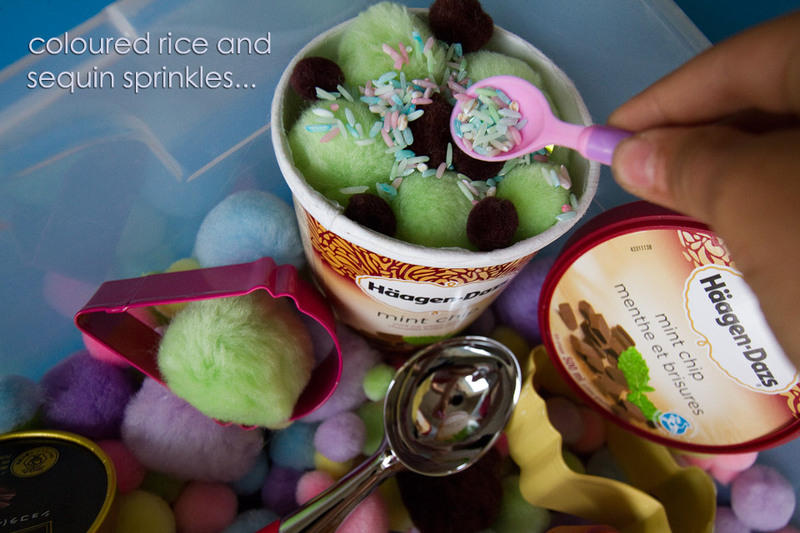 I did not however think to add colored rice as sprinkles or the actual containers. THANKS for the idea. Your daughter is absolutly BEAUTIFUL!!! Oh, and can you give me a link to your bin if you have one? I’d love to see it!! And i’m sure others would too! Thanks, Jackie!! 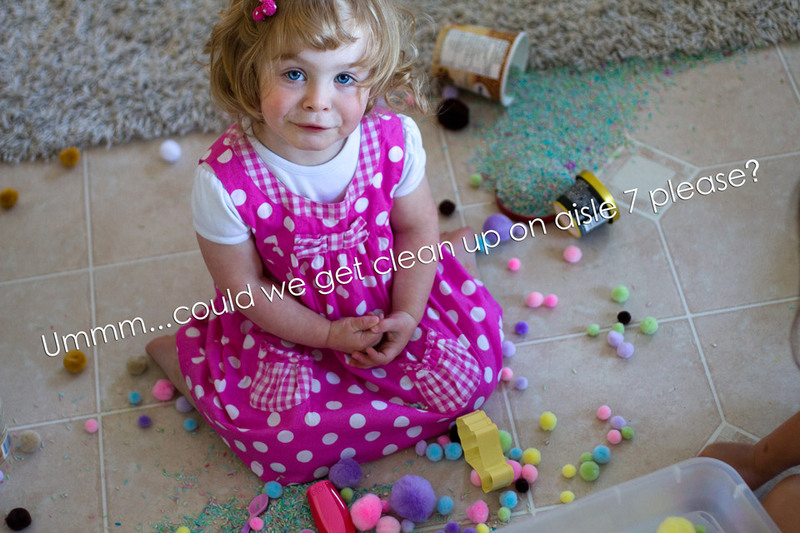 Re-use, recycle, cuz this mumma’s cheap! Hehehehehehe! Hehehehehe! That’s hilarious! Glitter!! Love it! This is so amazing and clever! Wow. Can I have one?! 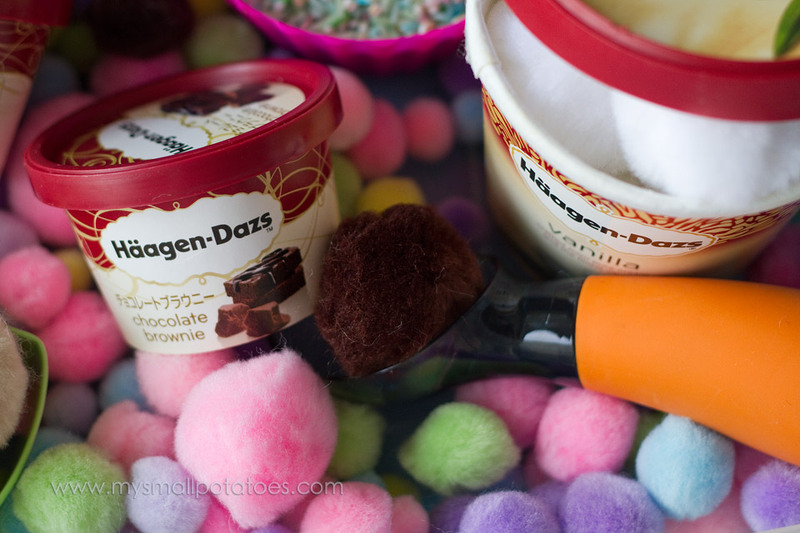 You can’t ever be too old for “ice cream” right?! Never too old!! Never, ever! Thank you!!! How old is your little one? I’m getting 2 babies in my care starting September, so there will be more baby play posts in the future! she’s 2 & has way too many toys! im going to have to wait till shes maybe 3 or so theres another little one on the way so i dont want puffs in their mouth haha. 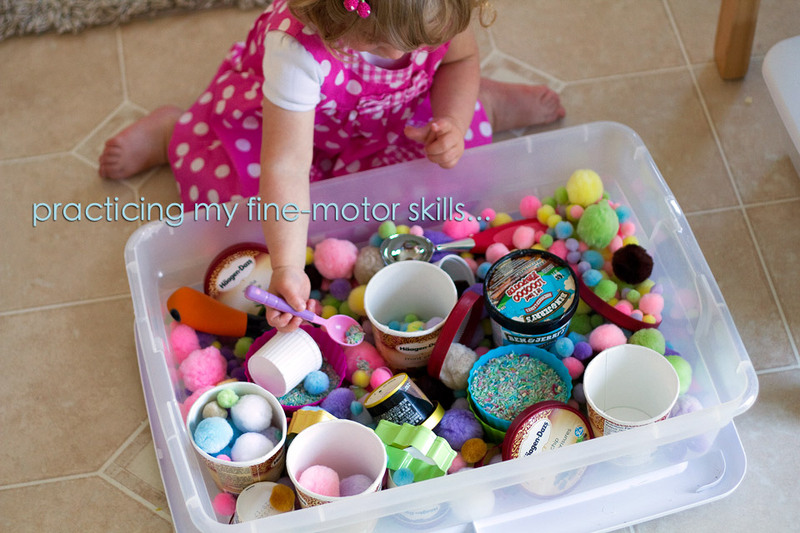 & start thinning out some toys!